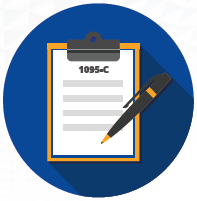 As the “proof” of offers made to employees, Applicable Large Employers are required to provide forms 1095-C to Full Time employees, that indicate when an offer was made, whether or not it was ‘affordable’, and these forms also need to be filed with the Internal Revenue Service. The product of information gathering through benefit enrollment data, affordability and measurement data are all compiled into this reporting, leaving companies only to produce the forms manually if they do not have a means to complete the reporting. The ACA Toolkit is the means to handle these reporting requirements. Is your Affordable Care Act documentation ready for the 2016 tax filing process? Determine your ACA Compliance with iSolved. 1.2 million employees at over 35,000 employers use the iSolved technology for their payroll and HR. The system can also scale to include time tracking and benefits. Read more.